Mitchell Louis Silverman (CRD #500504, Boca Raton, Florida), who has been a financial advisor of Raymond James & Associates, Inc. since May 3, 2002, disclosed via Financial Industry Regulatory Authority (“FINRA”) BrokerCheck that his activities are the subject of a customer investment-related arbitration dated May 17, 2018. The customer alleged breach of fiduciary duty, breach of contract, negligence, fraud, and violation of FINRA conduct rules in connection with sector-specific stock held in the customer’s account from September 24, 2004 and April 30, 2018. The arbitration was settled for $10,000.00. (FINRA Arbitration Case #18-01874). Silverman has disclosed five more customer disputes on FINRA BrokerCheck regarding allegations of negligence, misrepresentation, omission, breach of contract, breach of fiduciary duty, and failure to supervise registered representatives. 1) On November 1, 1995, a J.B. Hanauer & Co. customer filed an arbitration alleging that Silverman failed to supervise a registered representative’s activities, which included engaging in excessive and unsuitable trading of corporate debt investments. On December 24, 1995, the customer’s claim was settled for $500,000.00 in damages. (NASD Arbitration Case #95-04791). 2) On July 16, 1998, customers of J.B. Hanauer & Co. brought a civil suit, alleging Silverman’s failure to supervise a registered representative who sold the customers limited partnerships. The suit was settled between the firm and the customers for $60,000.00 on December 30, 1998. (Civil Litigation Case #98-006228-AE). 3) On February 22, 2014, a Raymond James customer lodged a complaint which alleged unsuitable recommendations to have been made to the customer concerning municipal debt investments. Raymond James estimated that the customer sought more than $5,000.00 in damages. 4) On October 24, 2016, a customer of Raymond James filed an arbitration alleging violations of FINRA Rules 2010, 2090, 2020, 2210, 2111 and 3110. Causes of action also included breach of fiduciary duty, breach of good faith and fair dealing, breach of contract, misrepresentation, omission, negligence, and violations of Fla. Stat. 518.11. On November 22, 2017, the customer and Raymond James settled the arbitration for $37,500.00 in damages. 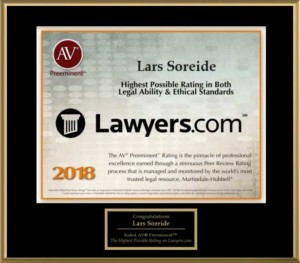 Investors who suffered losses as a result of Mitchell Louis Silverman or another registered representative’s activities are encouraged to call Soreide Law Group at (888) 760-6552 and consult with counsel regarding the possible recovery of investment losses. We represent clients nationwide against brokers and brokerage firms but are conveniently located in South Florida near Boca Raton. Our firm only charges a fee if we succeed in recovering for you. Call today to speak to a Boca Raton Securities Attorney.